How Does a Commercial Real Estate Agent Get Paid? In the commercial real estate market, there seems to be a lot of confusion and around the question of “how does a commercial real estate agent get paid?” This question is applicable when the commercial agent is working with a client, whether you are talking about property sales or leases. On top of that, you may be asking yourself where this money is coming from! As a consumer and/or investor, it’s important for you to understand how this process works, so that you can confidently move forward working with your agent, knowing that your best interests are being protected in the transaction. 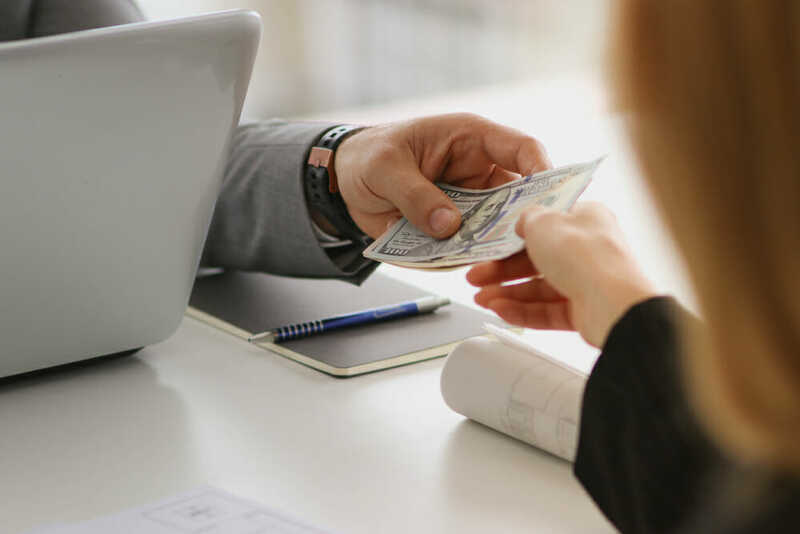 The short answer to the conundrum of how a commercial real estate agent gets paid is that they receive commission based upon the transaction between two parties. This is true regardless of whether the transaction is a lease agreement (between a landlord/owner and a tenant) or a sales agreement (between a buyer and seller). So, you may be asking yourself how much your agent stands to make off of your transaction. Anti-trust laws in the United States make it illegal for any governing entity to set market or industry-wide standards on what percentage an agent can make, but it can typically be assumed that an agent is making anywhere from 4-8% off of the total commercial transaction. For example, if your commercial property sold for $500,000 and your agent’s commission rate was 6%, they will be taking about $30,000 after everything is said and done. The party that is responsible for paying this amount differs depending upon transaction types. A commercial real estate agent makes their profit off of commercial property sales by representing a property owner, a property buyer, or both. The commission amount is determined by taking an agreed-upon percentage off of the total and final sale price (after negotiations) of the property. If each party is represented by their own agent, the agents would split the commission down the middle. Using the above example, this means that each agent would walk away from this transaction with $15,000 after all of the paperwork were signed and processed. A tenant signs a 4-year lease for a 2,000 square foot space at a rate of $12 per square foot. The length of the lease multiplied by the cost of square footage will determine the total value of the lease. 4 years x (2,000 x $12) = $96,000. If the agent(s) have negotiated a rate of 6%, the total available commission on the lease would be $5,760 (or $2,880 each if both parties are independently represented). The big difference here is that the entire commission on a lease transaction will be paid by the landlord. Usually, the agent(s) will require half due at signing and the remaining half once the tenant has fully occupied the space. The most important way to protect your interests in your commercial real estate transaction is to get the right representation. Find an agent that comes highly recommended and whom you can build good rapport with. When there is a level of trust with your agent, you can enter into a transaction confidently knowing that they will do their best to walk you through the process and adequately answer any questions that may arise for you. Looking to Buy, Sell, Or Lease a Commercial Real Estate Property in Tampa Bay or the Surrounding Areas? If you’re looking for a commercial real estate agent that you can move forward with confidently, John Milsaps is an obvious choice for the job. John has dedicated the past decade to learning the finer nuances of the Tampa Bay commercial real estate market, and works diligently to share that knowledge with each and every one of his clients. He prides himself on building each client relationship on a firm foundation of transparency and trust, gaining him a positive reputation that keeps his clients coming back for years. If you’re ready to make a move in the Tampa commercial market, contact John today!